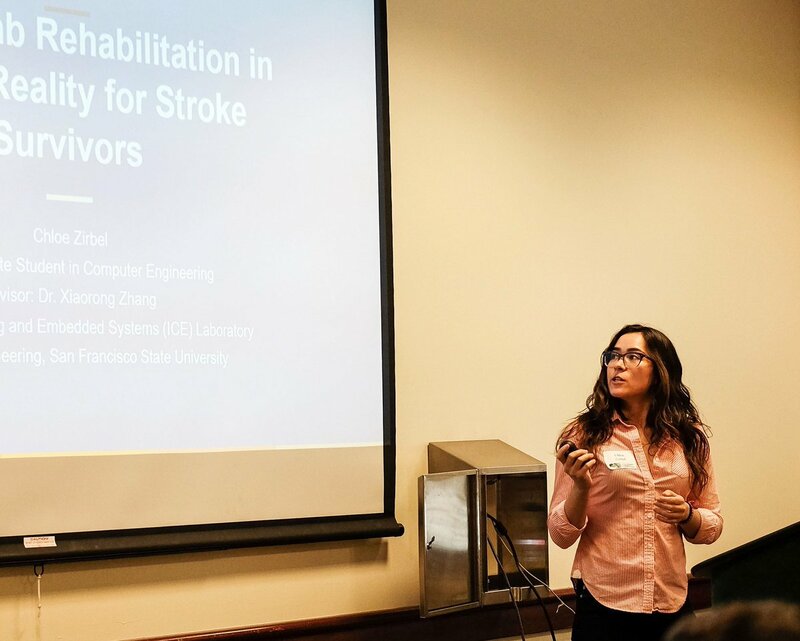 Chloe Zirbel (undergraduate student in computer engineering) won the 1st place award in the area of Engineering and Computer Science (Undergrad-Level) at the 32nd Annual CSU Research Competition at CSU Sacramento in May 2018. Her project title is Upper Limb Rehabilitation in Virtual Reality for Stroke Survivors. Congratulations Chloe!